Mason was a monkey that many considered fickle. Instead of eating bananas, Mason loved a sour dill pickle. of a pickle on pumpernickel. for his taste buds and his palate, they simply did not tickle. over anything that was even remotely artificial. absolute favorite and most nutritional. 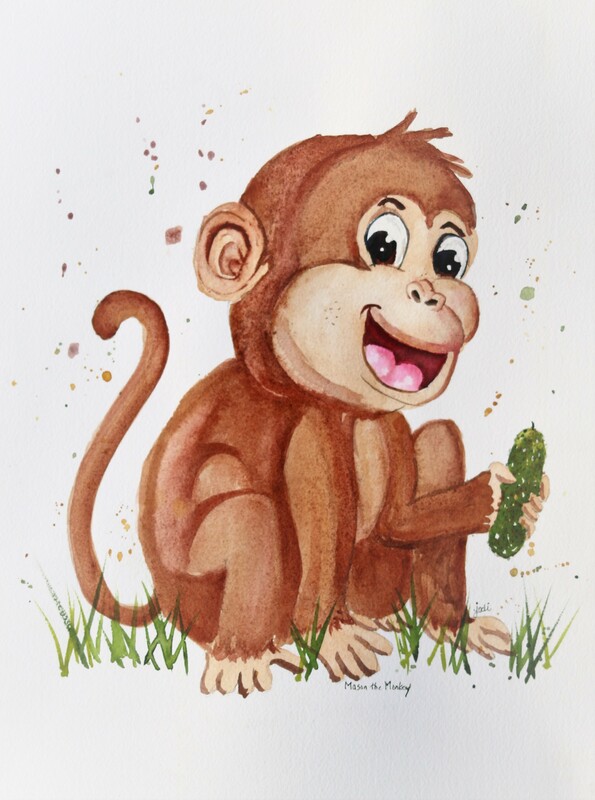 Mason the Pickle-Loving Monkey is another in a series of paintings and poems I am working on for a new children’s book. This new book will be special because it is going to feature characters that are based on the grandchildren of my best friends. Mason is the grandson of Joyce, son of Nikole, and brother of Ella. Prints and greeting cards of all of these paintings are available in our McKinneyX2Designs Etsy shop, where you can also order a customized painting and poem of or for someone dear to you. Other fun products, like pillows, canvas prints, tote bags and much more are also available at our Mx2D Society6 Shop. I will begin putting my book together soon and let you all know about it! 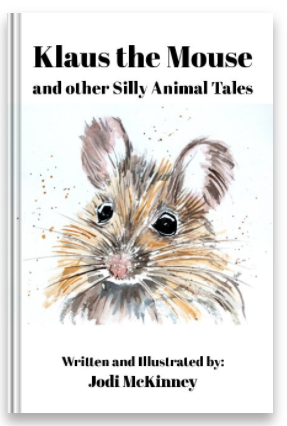 If you are interested in my first children’s book of watercolor animals and silly poems, you can find it here: Klaus the Mouse and Other Silly Animal Tales. you ever will have met. was in a way you couldn’t forget. created the most fantastic egret silhouette. where she was featured playing the alto clarinet. played backup to the leader, a brunette named Claudette. from the U.S. to Tibet. 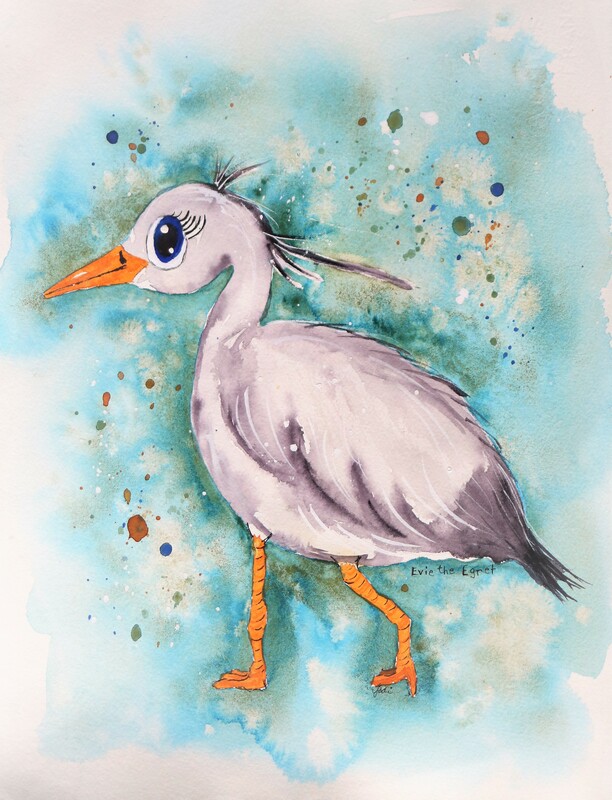 Evie the Egret is another in a series of paintings and poems I am working on for a new children’s book. This new book will be kind of special because it will feature characters that are based on the grandchildren of my best friends. Evie is the first grandaughter of my bestie, Jill, and the second child of Jackie, my McHendy daughter, who first inspired me to start this blog. I have two more special surprise characters to create before I begin putting this book together, so look for them in upcoming posts. lived Harper the happy hippo in a heavenly utopia. while Harper was oft reclining. shared and reveled in the balmy tropical terrain. Harper loved to sing and play. She smiled and chuckled and snorted all day. since her voice was in such demand. smiling and singing to the most beautiful prose. while a cheetah’s guitar strings strummed. Cymbals were clanged and clashed by a lively red-throated gazelle. She was Harper’s closest girlfriend, and her name was Adele. than Harper the happy hippo and her Ethiopian wildlife band. 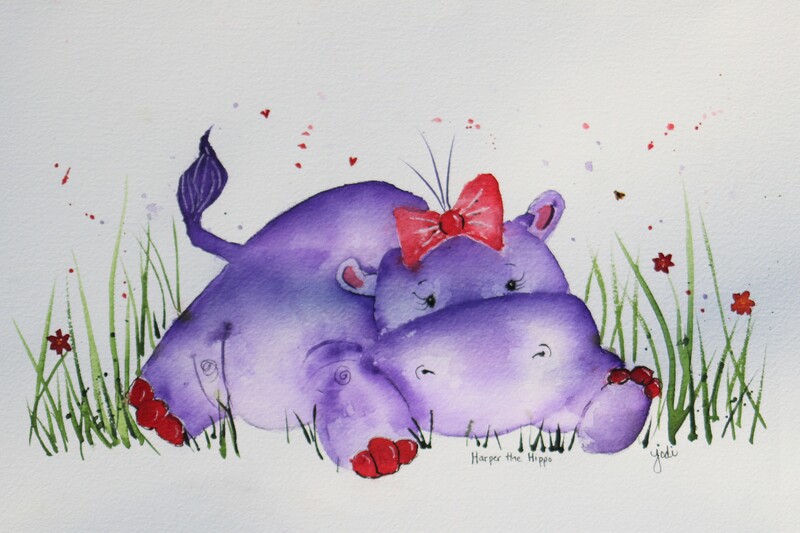 PS Harper the Hippo is the second painting for my dear friend Pam (namesake, by the way, for Klaus’ friend Pam the Lamb). Harper is the baby sister of Lucas – Pam’s two grandchildren. 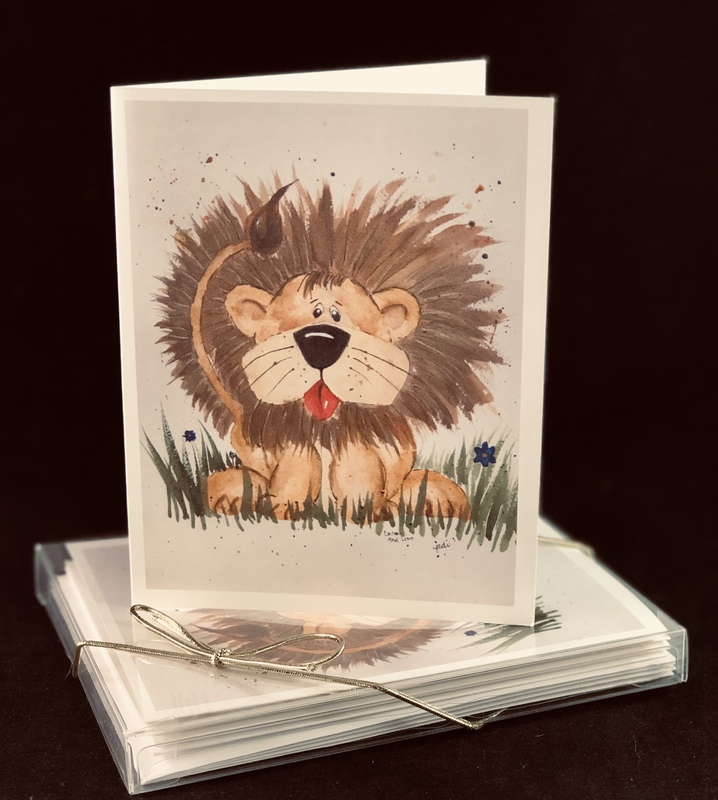 If you’d like to learn more about my process or sales of paintings, poems, cards, pillows, and books, visit Sunday’s post here. 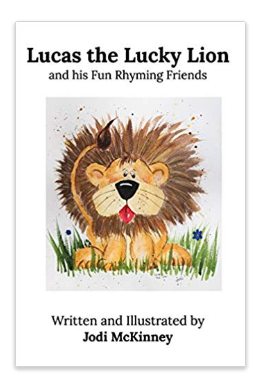 lived Lucas, the exceedingly lucky little lion. Lucas the lion was always the most opportune. with the very best success. even the teeniest bit of stress. This extremely lucky lion was tops at kicking balls and batting. He even stole the show when dribbling, dunking, and passing. 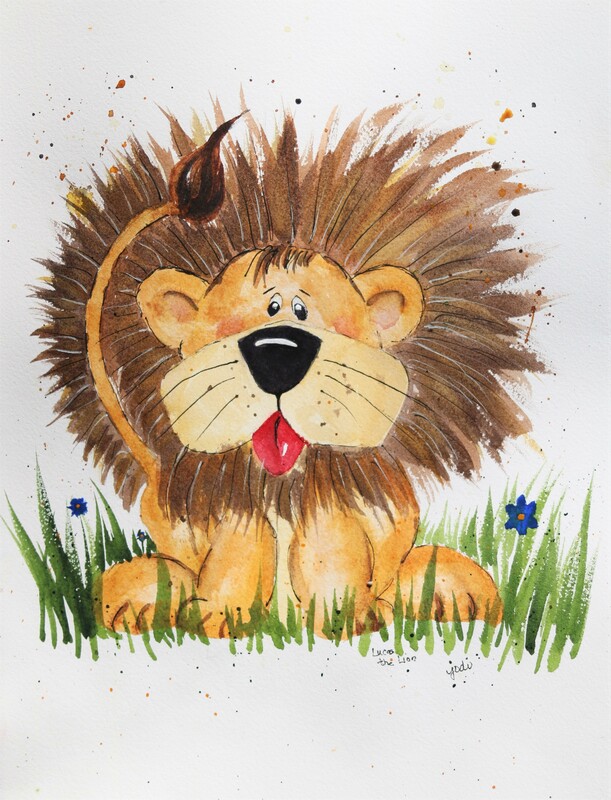 Was Lucas the Lucky Lion’s quintessential charm. For there wasn’t a friend or foe he couldn’t charismatically disarm. 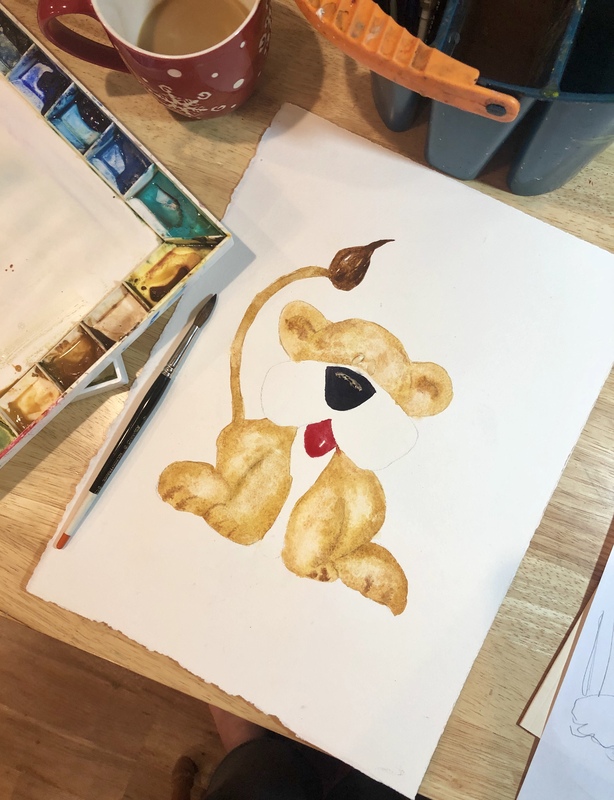 Lucas the Lion is a special surprise for one of my BFs. 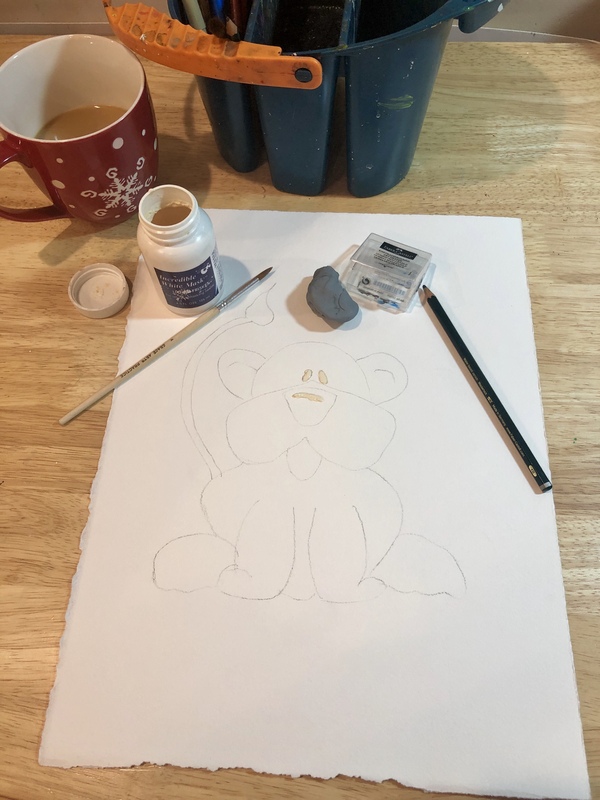 I was looking for recommendations on what to paint after taking a little break for the holidays, and she requested a Lucas the Lion and Harper the Hippo for her two grandchildren, who are fans of Klaus the Mouse. I thought you might like to see a bit of the process I go through for a painting. First I draw a pencil sketch. 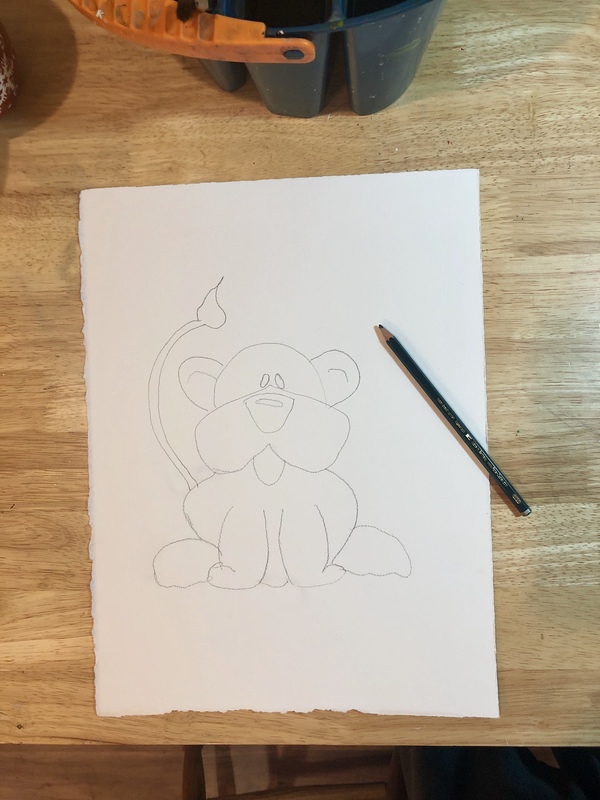 Once I am happy with a design, I either redraw in pencil on watercolor paper or use a light box to trace the basic outline. If the pencil markings are too dark, I then use a kneaded putty eraser to lighten up the lines. If needed, I use some masking fluid to preserve any areas I want to assure stay white. 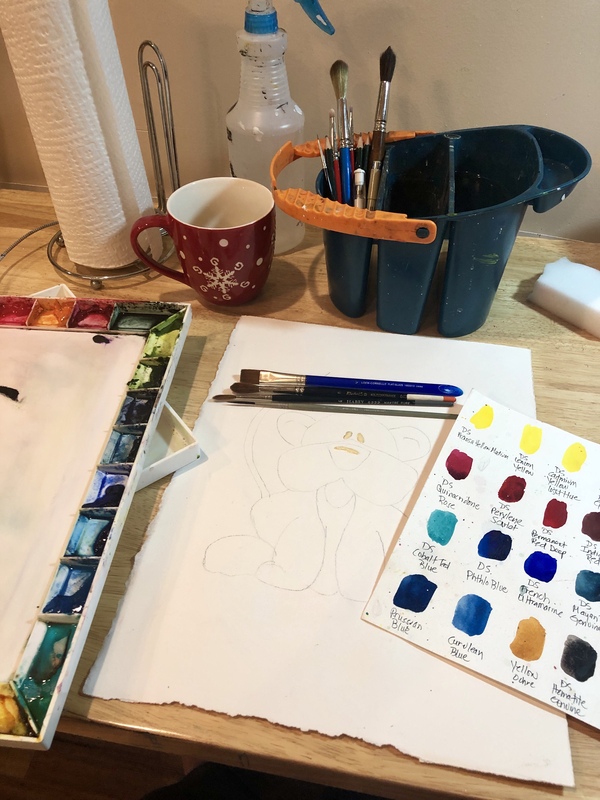 I then consider colors using my watercolor swatch charts, choose a few brushes I may use, fill my water bucket, and assure paper towels and a Mr. Clean Magic Eraser sponge are handy. I am then ready to put on my first wash of paint. After the first wash is dry, I rub off the masking fluid, and I begin adding layers, allowing to dry as necessary until I am happy with the painting. Once my original is finished, I take the best photo I can of it for printing. Most all of my paintings are available in our McKinneyX2Design Etsy shop in prints (sizes 11×14, 8×10, and 5×7 – matted or not) and greeting cards, like below. For those friends who are local, my daughter-in-law (who makes beautiful rustic wood pallet signs) and I also have our art on display and available at Berry Vine Gifts in BradfordWoods, PA. You can find all of our information here. Look for Harper the Happy Hippo in my next post here at The CreativeLifeInBetween, which is scheduled to post Tuesday. 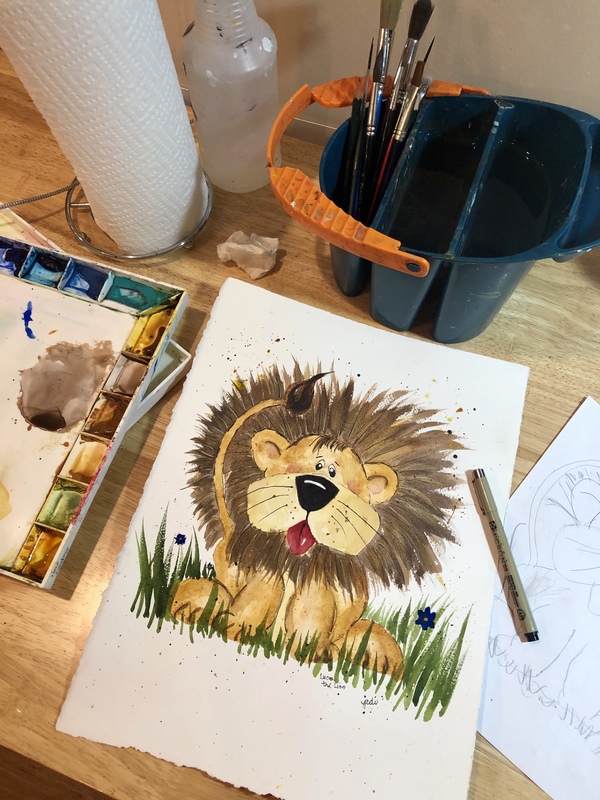 By the way, if you are interested in a custom watercolor painting of an animal character for a child you love, you can order via our McKinneyX2Designs Etsy shop at this link. Let me know the child’s name and the animal you would like. 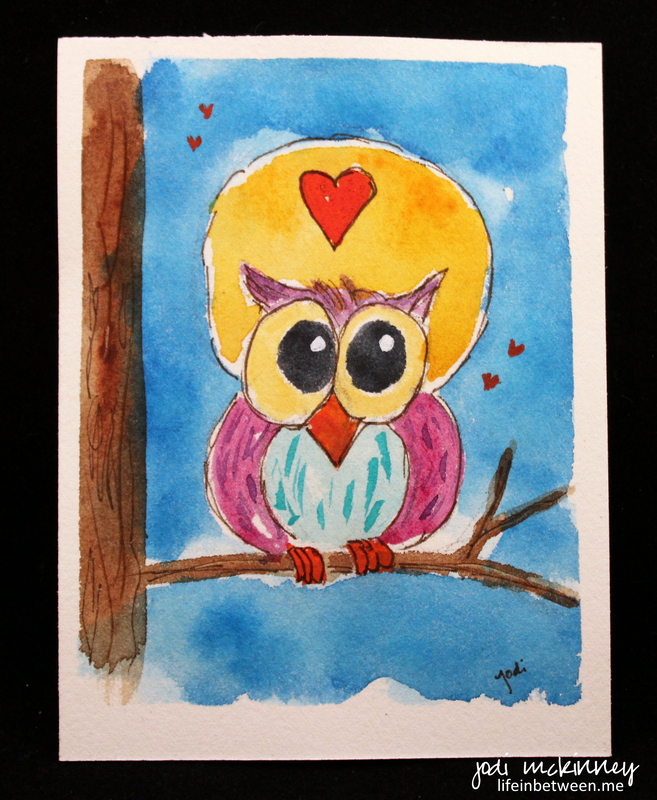 It will be an 11×14 original watercolor painting. 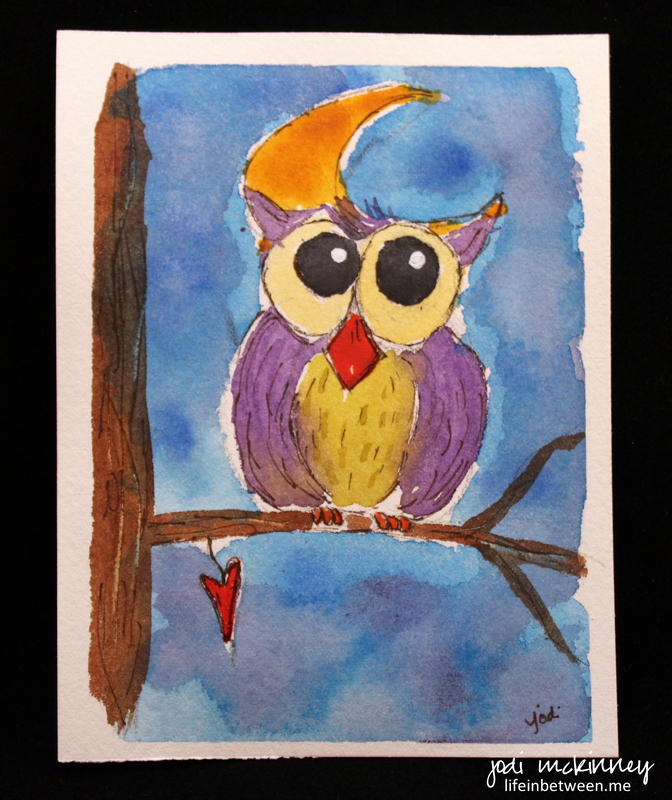 If you would like an original rhyming poem to go with it, that can also be ordered for an additional charge. It will come printed on an 8.5×11 sturdy cardstock sheet that can also be framed. Please allow two weeks for any custom orders. My artwork can also be made into pillows and clocks and coasters and mugs and tote bags and a lot of other fun things – all available at Society6. Let me know if there is a piece you like that I should add there. I hope you are all enjoying the beginning of this new year and settling back into your normal routines after the busy holiday season. It was good to undecorate from the holidays yesterday and find time to paint again. Alex liked to jump and kick. was part of his famous schtick. in the eyes and hearts of the alligator chicks. 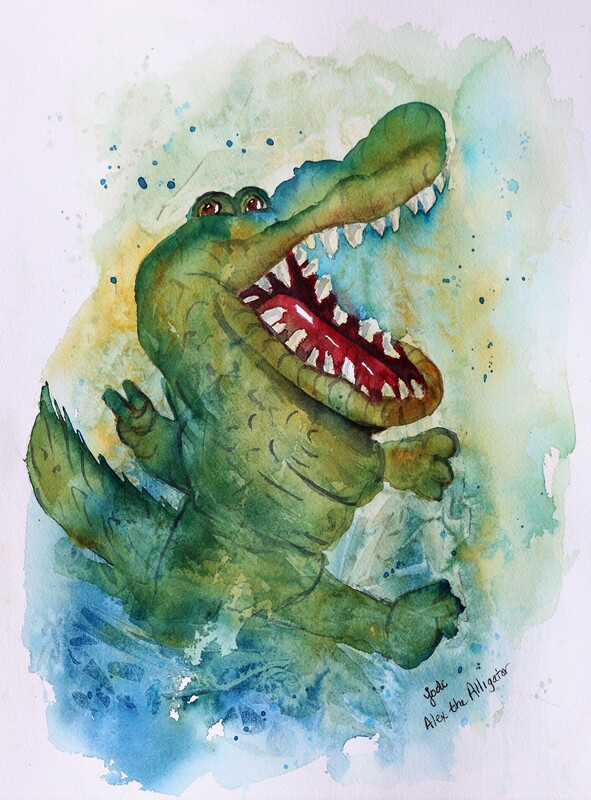 PS Alex the Alligator was made especially for a friend’s grandson, who loves Klaus the Mouse – my very first published illustrated children’s book. Granpap asked if I could make an Alex the Alligator and a Liz the Lizard for his two special little grandies. This is going to be a surprise for him. I can’t wait to create Liz next. I stayed up very late the other night watching election coverage. It was so nerve-wracking, I had to do something besides watch predictions and “paths” and the shock of the reporters as they announced each state’s decision and electoral numbers. I wanted to do something pleasant and think pleasant thoughts. The happiest thing that came to mind is our sweet grand baby who is due any day now. As I thought of her, I thought of stuffed animals and cute animal characters. I thought of soft, cuddly teddy bears. 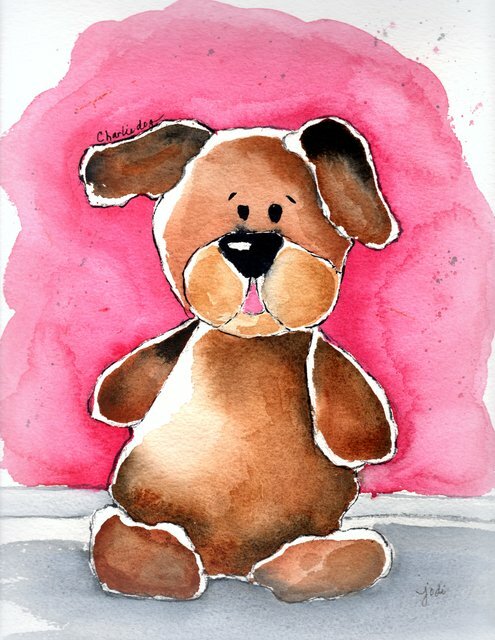 And then I decided to create a teddy bear like stuffed character of Charlie, our furry adopted boy. In the wee hours of the night/morning, CharlieDog was born on a 10×12 sheet of Arches 300 lb cold press. He has chubby chipmunk cheeks and curious cherubic eyes. His chunky belly is plump and soft and snuggable. He has one ear up on alert for Cliff the Mailman or Mike the UPS man or anyone delivering pizza! Art has become such a calming, stress-relieving outlet for me. 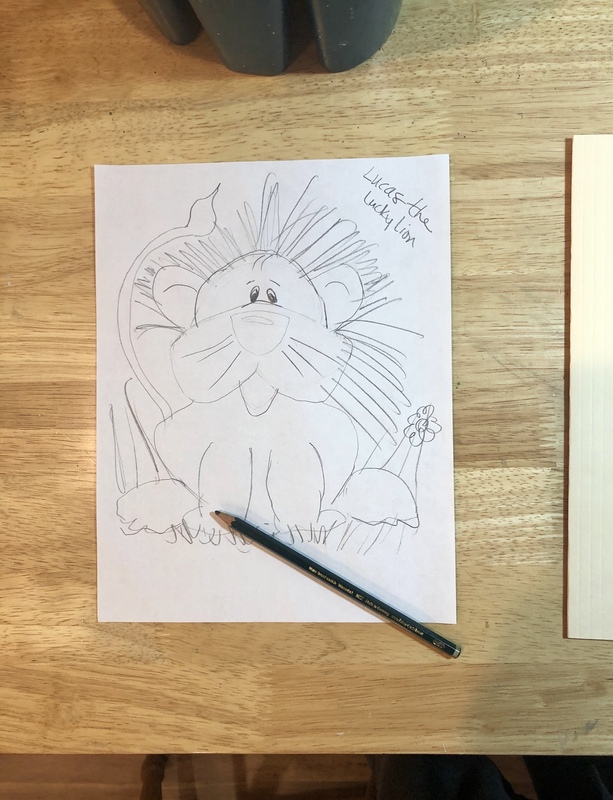 If anyone out there thinks they would love to draw or paint or create, but feels they aren’t “artistic” enough or don’t have any formal training, or have never tried, or whatever your reasons might be – just do it. Don’t let your mind tell you that you can’t. I would have said that a year ago. Do it for the joy. Do it for you – not anybody else’s approval or praise (that part was/is a struggle for me that I am getting much better at). Do it to create your own kind of beauty. Do it for peace and love and goodness – for yourself or someone your share it with. Focus on things that make you happy, bring you peace, express joy, demonstrate love. Small acts change the world. Be your own kind of beautiful. Make your own kind of art or sing your own special song. Do your thing! Be you! 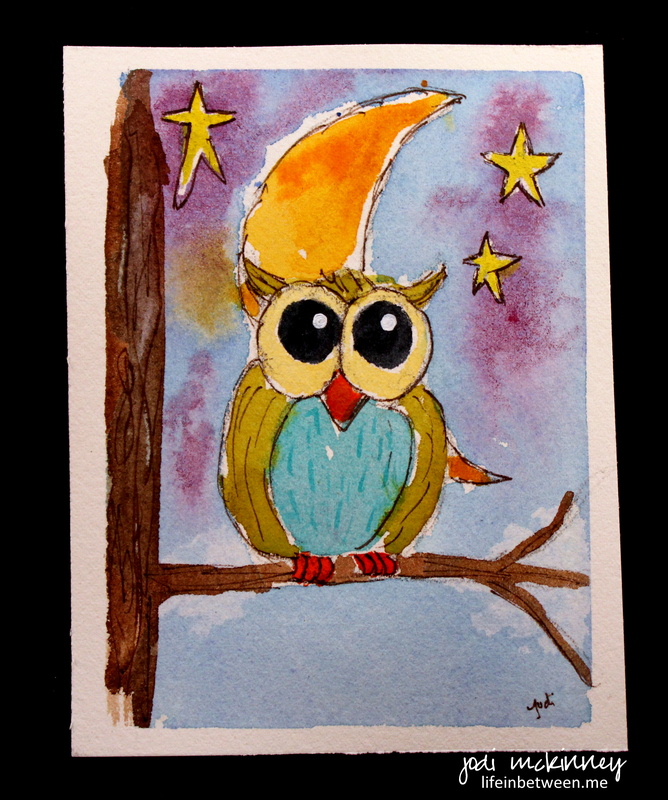 It’s #DrawABirdDay with my WordPress artist blogging friends, which we celebrate on the 8th of every month. A little search on Pinterest provided some inspiration of ideas that I combined to create these little cuties. I think these will make fun greeting or note cards.